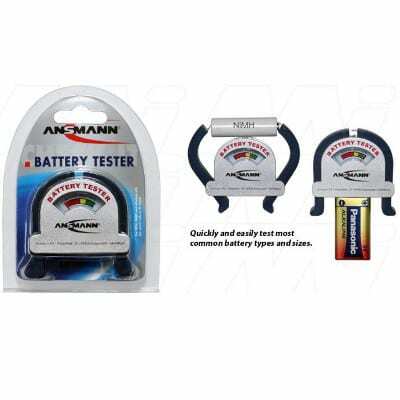 Can be used with Alkaline, NiMH, NiCd batteries of most sizes. Single batteries can be tested. Strength is shown on the meter of the tester.